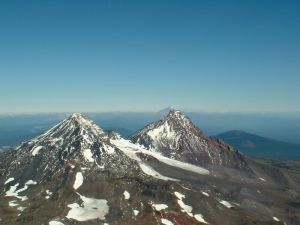 This peak is #5 on the Height List for Oregon .The Middle Sister is lowest of the volcanoes that make up the Three Sisters group. Several fair-sized glaciers graze its flanks. The summit is a hike from the north.